Together for resilient coffee-farming families! A strong pre-competitive partnership of eight committed coffee companies working for a more prosperous future for farming families. 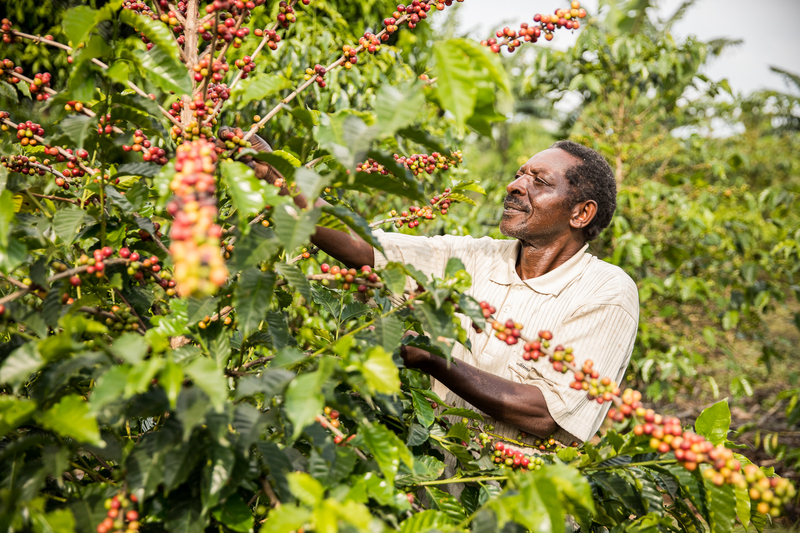 The vision of International Coffee Partners (ICP) is to improve smallholder coffee farmers’ livelihoods by making them more competitive, based on sustainable practices. This vision goes beyond implementing individual development projects; ICP’s objective is to contribute to establishing a fair and sustainable coffee sector in all coffee producing regions and countries. ICP works under a strategic partnership with the foundation Hanns R. Neumann Stiftung as the implementer of its projects worldwide and administrator of the organization. International Coffee Partners (ICP) considers itself a learning organization which is interested in evaluating positive and critical experiences with partners to expand further approaches and enhance the effectiveness of project interventions. Since 2001, ICP has worked with 82,945 farmer family households with the outlook of reaching an additional 50,000 households by 2023. Critical factors moving forward are that many producer communities are becoming older as youth migrates from producing areas which do not offer the kind of lifestyle they are looking for; that leads to difficult intergenerational dialogue, restricted access to expertise, financial resources, and land, combined with limited economic and social perspectives, are significant drivers behind rural-urban migration. This trend is exacerbated by climate change, environmental degradation, and price volatility. All of which are being addressed, monitored, and tracked by the work of ICP. ICP is the leading promoter of impact-oriented support to coffee farmer families and youth in producing regions. ICP’s approach places emphasis on the human being and their perspectives. 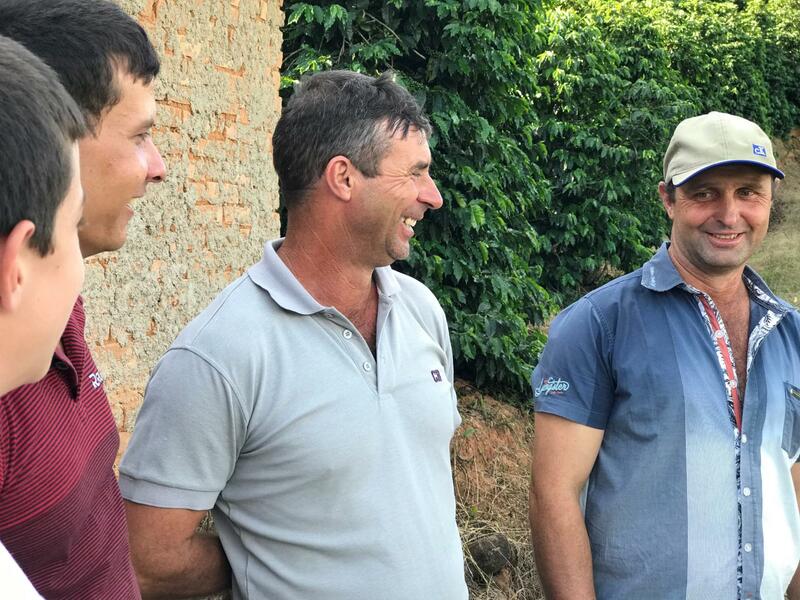 José Reis de Resende, a smallholder coffee farmer in São Francisco de Paula, Brazil; is relatively new to coffee farming as he only started in 2014. Before José began coffee farming, he drove sick patients from one city to another doing this for 28 years. However, in 2012 he noticed a shaking in his hand, and after a visit to his doctor, he was informed he had Parkinson’s Disease. This lead to his employer firing him which left him and his family with a reduced income. Luckily, José had some savings, and with that money, he bought a plot of land and started planting coffee. José also enrolled in the ICP project that was offered in his area where he learned valuable information and techniques for combating climate change. Climate adaptation is José’s most serious topic at the moment as he has noticed a change of seasons with shorter raining periods and more sunny, hot days. He has applied what he has learned from the training such as mulching and shade trees to help and has already seen in a short time an increase in his overall production. 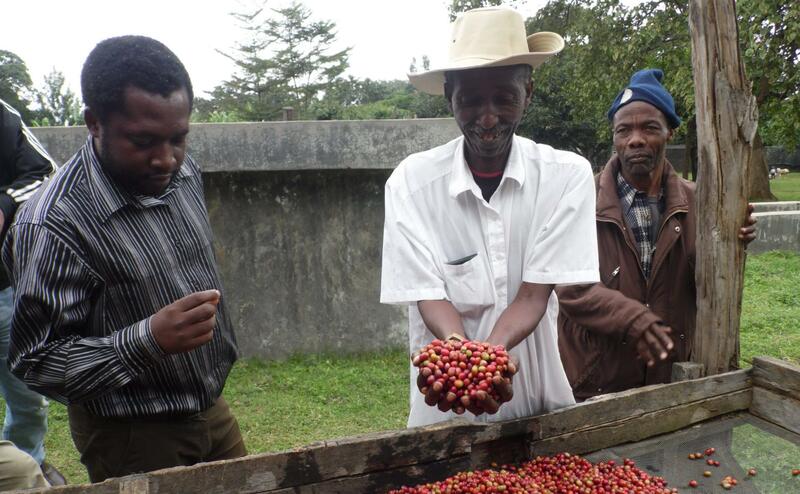 He is now focusing on coffee varieties and providing a higher quality specialty coffee. Now, José can continue providing for his family and is excited about what the future of coffee has in store for him. It was late in the evening when the Farmer Field School was completed in Pondok Pangkul hamlet which sits at an altitude of 1,200 meters that was already covered with fog. The head of the Smallholder Coffee Cooperative (KPB), Harun offered our Indonesian team of our implementing partner Hanns R. Neumann Stiftung to stay overnight at his wooden house and then continue their journey the next day. The next morning, he took them around his hamlet to see the beautiful sunrise and his coffee farm that is surrounded by breathtaking forested valleys and mountainous areas. A father of three children, he has served as the village administrator and is now hiring a young farmer to take care of his coffee farm. He used to earn a lot from coffee farming and bought a lot of land for which he gives some of it to the village for farmer’s market buildings and a volleyball court. His wife cooked breakfast for them, and afterward, he took them to another plot on his coffee farm to show them his intercropping practice with Arabica coffee and other cash and subsistence crops for the household. Dodi Irawan oku selatan sumsel ternyata indah sekali . 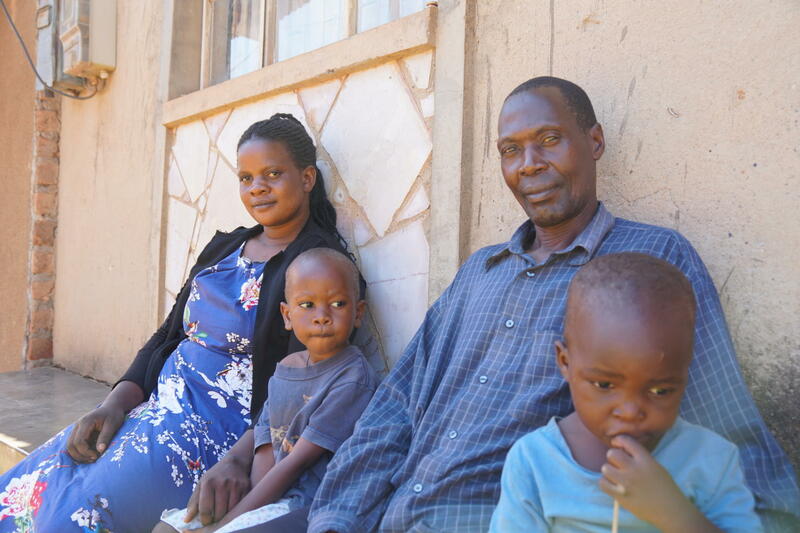 Through the work of ICP, Richard and Viola from Uganda achieved higher incomes by accessing new markets and applying agriculture practices they had learned. This has not only led to higher yields, but also improved their living standard and secured the education for their children. International Coffee Partners is in Guatemala. International Coffee Partners is in Copán Ruinas. With a few hours break between visiting ICP beneficiary coffee farmer families, my coworker and I visited Macaw Mountain, a bird park and nature reserve in Copan Ruinas, Honduras. This Scarlet Macaw is the national bird of Honduras and the largest parrot in the world, but is at risk of extinction due to habitat destruction and its desirability in the parrot trade. The brilliant rainbow of colors standing out against the lush green background of the forest is definitely a rare and beautiful sight. Heading down a dirt road in Copan Ruinas, the rain began again and a thick fog settled on the mountains. Although the rain is great for making plants grow, it can be detrimental to coffee farmers during harvest season if the coffee has already been laid out to dry. International Coffee Partners is in El Salvador. On the road, I do a lot of backseat riding. Sometimes on a long trip, I’ll take out my camera and do some literal street photography, setting my camera to a high shutter speed and trying to capture a few small fleeting moments of people we happen to pass by. Like this woman captured roasting corn on the cob at her roadside stand in El Salvador, it is always interesting to go through the photos I’ve taken and find that someone was looking back at me in the same moment I pressed the shutter. Like its neighboring Central American countries, El Salvador is a beautifully lush country with some incredible landscapes. The soil, altitude and rainfall create a hot spot for coffee growing, specifically in the Trifinio area where Guatemala, El Salvador and Honduras meet. Just in El Salvador, there are approximately 23,000 registered coffee producers. International Coffee Partners is in San Salvador, EL Salvador. Outside of San Salvador, a boy and his father rush to unload the back of their truck in a rare moment as sunrays and raindrops blend. Some of my favorite photos are like this one, which brings me right back to the moment that I took it - a split second that no one else saw, caught and suspended in time. Photography is often a well-planned, methodical art for others’ appreciation but it can also be a deeply personal experience where the meeting of time, circumstances, and human beings produce irreplicable results. International Coffee Partners is in La Palma, Chalatenango. Doña Consuelo in the kitchen on a rainy afternoon. 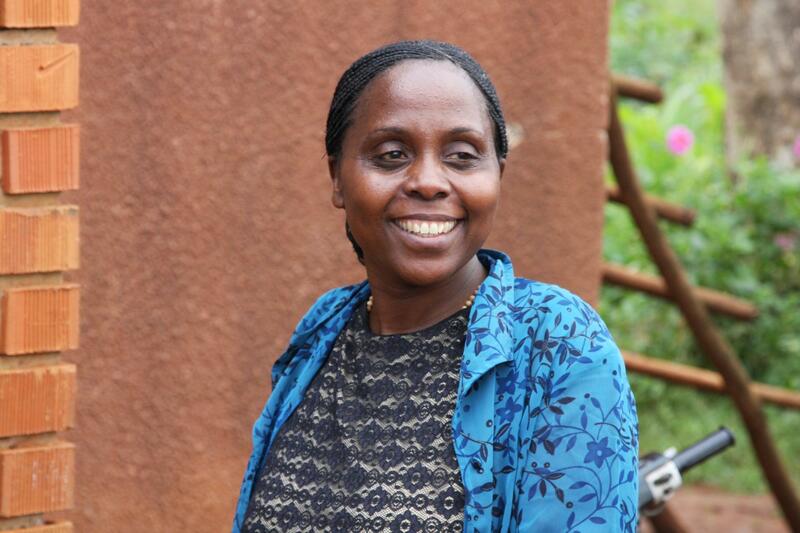 Her family has worked in coffee production for generations and now her children are continuing the legacy. After we filmed with her son, Hugo, Doña Consuelo invited us for a cup of coffee in her home while she made the famous Salvadoreñan traditional food: pupusas. Pupusas are corn tortillas filled with ingredients like cheese, meat, and beans and cooked on the griddle. Although she tried to teach me the technique for patting the masa into a perfect round shape, my attempt at pupusa-making paled in comparison to her expert hands. On our first evening exploring La Palma before visiting ICP-beneficiaries on their coffee farms nearby, we came across the central church full of people attending a special service in honor of Archbishop Óscar Arnulfo Romero, a prominent Salvadoran church leader who was assassinated in 1980 while saying Mass. Romero was a champion of the lower class who spoke out against political repression and violence. The day we came across the special church service, Pope Francis had just named Romero a saint. Early morning in the streets of La Palma, El Salvador, the “Cradle of Peace” as described in this mural near the center of town. The streets and buildings of La Palma are full of colorful artwork on every wall which depict the culture, history, and lifestyle of Salvadoreños. La Palma is right in the midst of a large coffee production region and the various coffee shops around town offer brews from local harvests. International Coffee Partners is at Macaw Mountain, Copan Ruinas. Hi Livvy. So glad you are sharing. International Coffee Partners added 2 new photos from February 27. Our implementing partner Hanns R. Neumann Stiftung works with smallholder coffee farmers in OKU Selatan district, South Sumatera province in Indonesia. One of them is Tulus (25), a coffee farmer in Sumber Jaya village who built a mini water turbine with the money he made from coffee farming to generate electricity power distributed to several houses in the hamlet. Parabéns a meus amigos da família carmelito pelo trabalho em conjunto, colhendo os frutos que plantaram. Parabéns Deus Abençoe VCS. Muito muito vcs merecem. #TBT to when we published our first episode of the new Coffee Break Series. Recently the Indonesian team of our implementor @HRNStiftung visited Harun, a coffee farmer. He opened up his home and a wonderful experience followed. 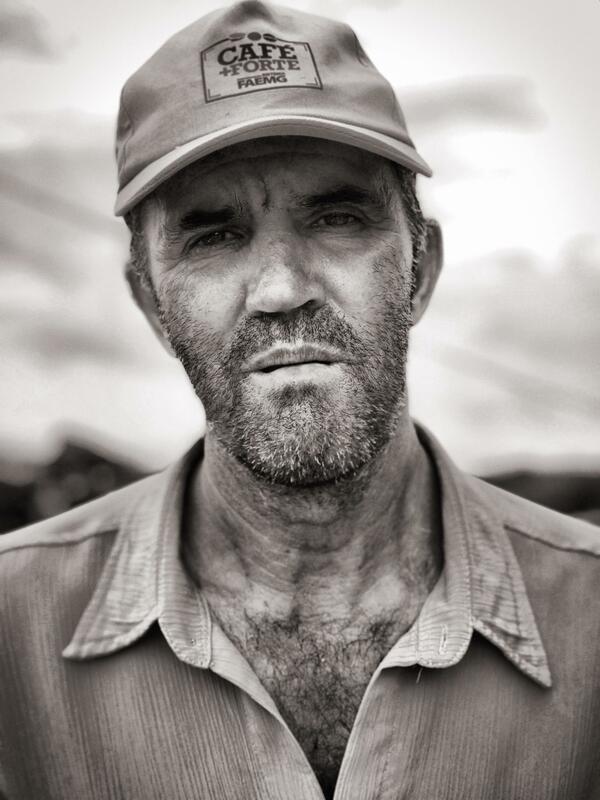 Working at farmer level allows us to develop lasting connections, his success and giving back to the community warms our heart. Meet Lázaro and his wife Camilla of Brazil. With the programming of ICP they learned valuable information on how to improve the quality of their coffee. They have opened a small café serving the community. Another example of how a long-term commitment can become a lasting impact! Do you know how and why sunflowers 🌻 help coffee 🌱 farmers 👩‍🌾👨‍🌾 to adapt to climate change? Find it out! 🌻 The initiative for coffee&climate has the answer. Italian Barista @sanapofrancesco visited our projects in Uganda to film about women in coffee production. He also got a chance to explore coffee quality with the farmers. Connecting producers with a Barista gives completely new insights for all. We met up with the Carmelito Family from the Matas region of #Brazil. Mr. Carmelito transferred the land to his two sons, Elieser and Rafael who have turned their focus to the production of specialty coffee. The wives Rosinha and Vilquira manage the farm and processing. Our senior agronomist Atho Illah @denmasatho came to visit and inspect one of the Integrated Farm Management (IFM) Demopolot Farm funded by @smuckers and @coffee_partners to utilize pruning shears to remove the dead, unproductive and disease-infected branches of the coffee trees. One of our founding members, @PauligFi took part in our first episode of the new #CoffeeBreak series. It will feature companies, partners, farmers, and communities discussing a wide range of topics. 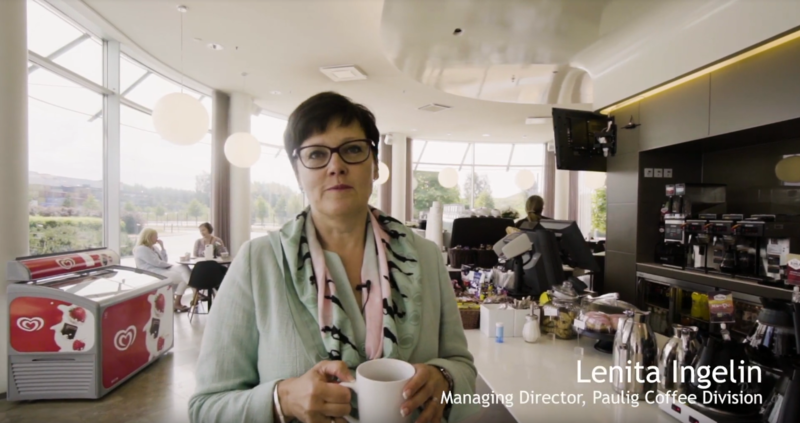 Here, Lenita Ingelin speaks about the importance of sustainability. ICP project #coffee ☕️ farmer families, like Richard's from Masaka, #Uganda motivate us to continue our work in 2019! Our support enables the family to establish increasing living standards, education for the children and entrepreneurship. Cupping winners of 5th Força Café Championship 2018. #coffee from Farmer Families participating in our projects in #Brazil through the Força Café program. Quality increasing year after year, supporting farmers in increasing income and livelihoods. Good luck for the auctions! Improved living conditions for small-scale #coffee farmer families: a matter of dedication not only for one of the ICP-founding members @Lofbergs. Their new #Sustainability Report highlights efforts and impacts of ICP and the initiative for coffee&climate. One of our founding members, @PauligFi took part in our 1st ep. of the new #CoffeeBreak series. The series will feature companies, partners, farmers, and more discussing a range of topics. In this ep. @IngelinLenita speaks sustainability in our industry.